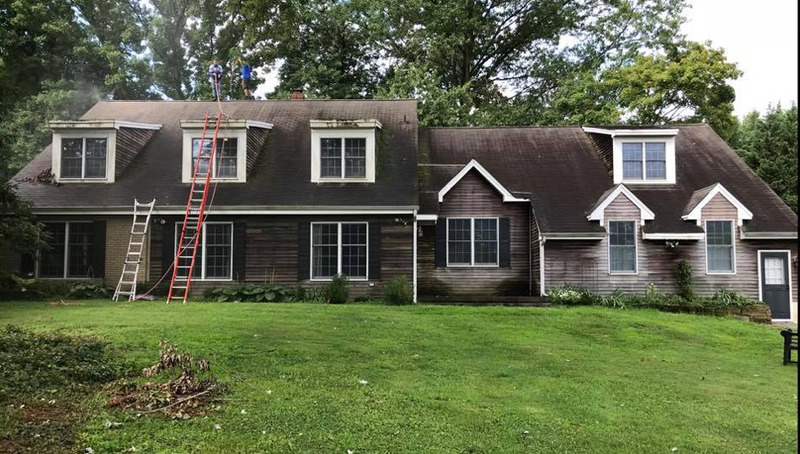 Choosing the Best Power Washing in South Jersey is CLEAR! 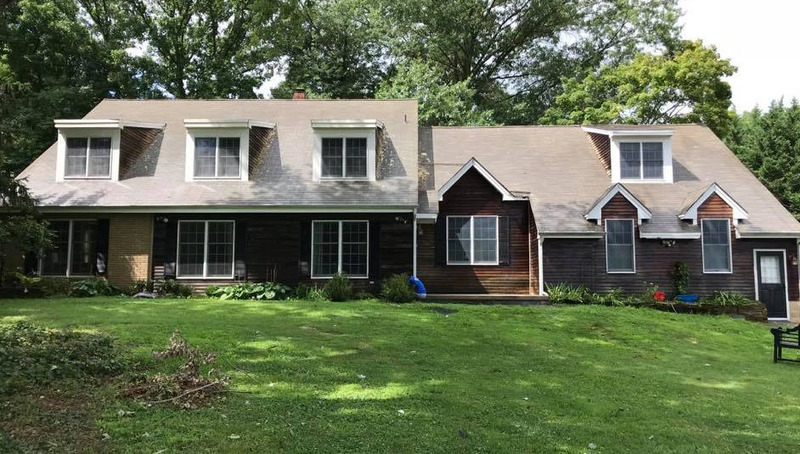 Homeowners often struggle with choosing the best power washing in South Jersey. Why is that? Well, there are many companies indeed to choose from. However it can be rather confusing to the average resident. For many companies, it’s quite easy to simply claim being the best, often times with no experience or track record. In addtion, many companies claim to be local while living miles outside of our local area. 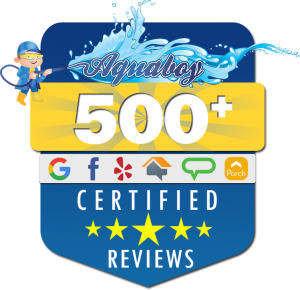 For Aqua Boy, being rated the best is a badge we proudly wear. Our reputation is backed by over a decade of experience. Indeed, our commitment to our local community is evident in our feedback with over 500+ 5-star reviews from our local residents and business owners. No other company can match that when it comes to the number of satisfied customers. Just take a look at the results we achieve below. No other power washing company comes close to our results and customer experience. Don’t fall for the cheaper, out of town companies who depend on quick jobs and non-discerning homeowners. Often these companies will disappear after the job is complete, leaving the customer without support. Know the difference in quality up front. Know the results you should expect from a tried and true process; one that brings with it over a decade of experience and commitment to our community. 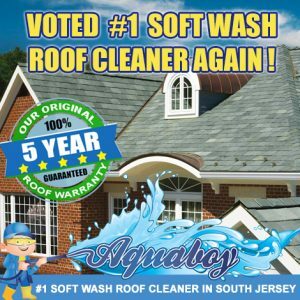 It’s no wonder homeowners are choosing the best power washing in South Jersey to be Aqua Boy! From your initial call to final cleanup, we are fully committed to your project. Following your initial contact, we’ll promptly review your project in person. This will allow you to review the scope of work prior to any work being done. Following that, you’ll be hand-delivered an estimate and scheduling time. Our staff will arrive promptly to you location and go over any further details on the day of the cleaning. We’ll protect your plants, landscaping and gardening from any harm and gently move any lawn ornaments or furniture as well. Once the project is complete, we’ll once again do a walk-through with you personally to ensure all items were addressed. Finally as part of our Total Care© cleaning program, you’ll have an opportunity to receive any additional support. Combine this with our 5 Year Roof Cleaning Warranty, and you’ll be covered for the length of your cleaning. 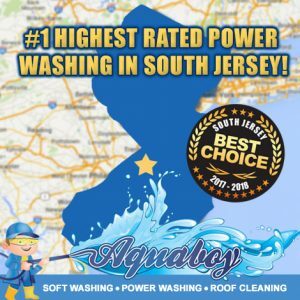 It’s no wonder the choice is clear when choosing the best power washing in South Jersey. 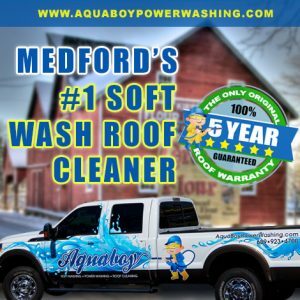 Aqua Boy Power Washing is the LEADER when it comes to residential and commercial cleaning. 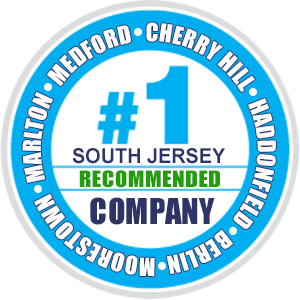 Not only do we have the highest rating in South Jersey, but we’re also highly recognized. Homeowners, businesses and commercial properties all rely on Aqua Boy for essential cleaning projects. We are the most recommended in Marlton, Medford, Cherry Hill, Voorhess, Berlin, Moorestown and more! Trust the most decorated company to handle ALL of your cleaning needs.